This page is to help the media quickly understand the nature of the WRTC2014 competition. 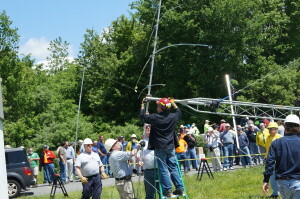 Amateur Radio operators, or “hams” as they are often called, are hobbyists that enjoy radio communication and technology in a variety of ways. Some like the fun of using shortwave frequencies to talk to people around the world. Some like to experiment with electronics, by building their own equipment. Many enjoy helping with local emergency communication, while others bounce signals off of the moon or attempt to talk to the International Space Station. Amateur radio, or “ham radio”, plays a key role as a critical emergency service in times of disaster when other forms of communication fail. Critical communication services were also provided by hams during the aftermath of 9/11, Hurricane Katrina, and Hurricane Sandy. Radio amateurs have been involved in the front lines of developing modern communications systems, including the fundamental technology used in all cell phones. Amateur Radio is a licensed service. Each radio operator is issued a callsign. Those are the 4 to 6 character groups of letters and numbers that you see before or after someone’s name. In the United States, licenses and call signs are issued by the Federal Communications Commission. 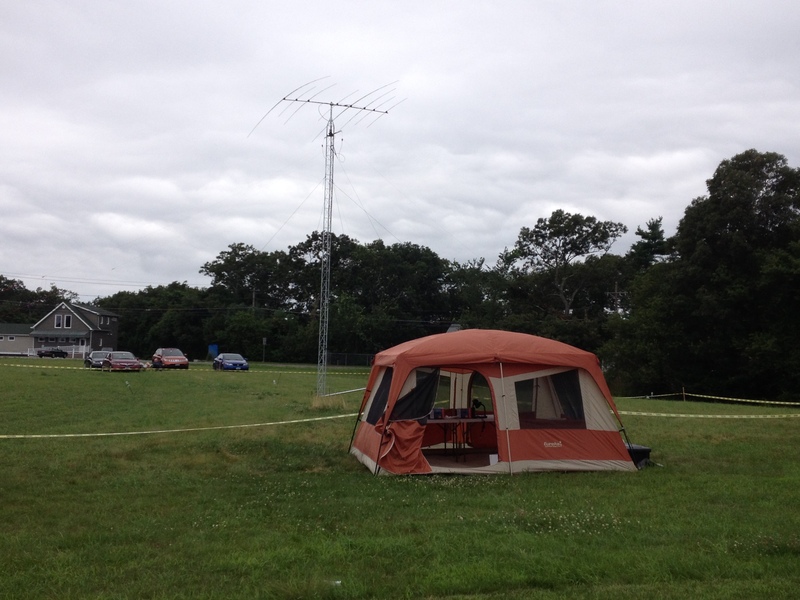 The ARRL in Newington, CT is the national association for amateur radio in the United States. They have an excellent web site where you can learn more about amateur radio. The ARRL is celebrating its centennial year the same week as WRTC2014. What is radiosport or “contesting”? There are Amateur Radio operators around the world that enjoy competing against each other and practicing their radio communication skills. The object in an Amateur Radio contest is to contact as many others as possible, exchanging specific information particular to that contest. Small contests may have hundreds of participants. The very largest may have more than 30,000 people involved from all around the world. Everyone operates at the same time using their own equipment from wherever they are in the world. They write down each contact and submit it to a central administrator for scoring and calculating the results. Read more about Radio Contesting here. Who are the WRTC competitors and how were they selected? The competitors come from all walks of life. Many are involved in technical professions such as engineering or cellular communication, often due to their passion in radio from a young age leading them in that direction. Competitors range from 22 to 70 years in age. Occupations include CEOs of major companies, grocery store managers, professional musicians, doctors, dentists, teachers, sales, banking, military service, and so on. View the team profiles to get an idea of the ages and occupations of the competitors. Much like the Olympics or World Cup, there is a qualifying process to determine which operators from around the world are eligible to make up one of the 59 invited teams. The qualifying process for WRTC2014 divided the world into 29 qualifying regions. Operators participated in competitions over a period of 3 years and submitted their 12 best scores with their application. The best operators from each region were invited to form a team. Each Team Leader could choose anyone they wanted as their teammate. Some selected from their own country or region, while others selected partners from across the world. In addition to the qualifying teams, invitations were also extended to the defending champions from WRTC2010; a Youth team made up of operators under 25 years old; and four sponsored teams. FYI – There is one team from Africa. One from China. Five teams from Russia. Two from Ukraine. Competitors will march into the Opening Ceremony representing 32 different countries. Referees will represent 6 additional countries. Who are the local competitors from New England? Many of the local operators that would normally be competing for a place in WRTC have dedicated their efforts to hosting the competition this time. The team leader for North America region 1, with one of the highest qualifying scores in the country, is Krassy Petkov, K1LZ. Krassy has selected Mladen Bogdanov, YT6W, from Serbia as his teammate. Krassy is the CEO of Milara, Inc in Medway, MA. He has his ham radio station at his office! If you can communicate all over the world, why have WRTC? One of the great features of amateur radio is that it can be enjoyed by anyone from anywhere in the world. Signals bounce off of the ionosphere according to the frequency band, the time of day, and sunspot activity. That variety is part of what makes the game so fascinating, but also why it is so difficult to compare operators from different parts of the world. 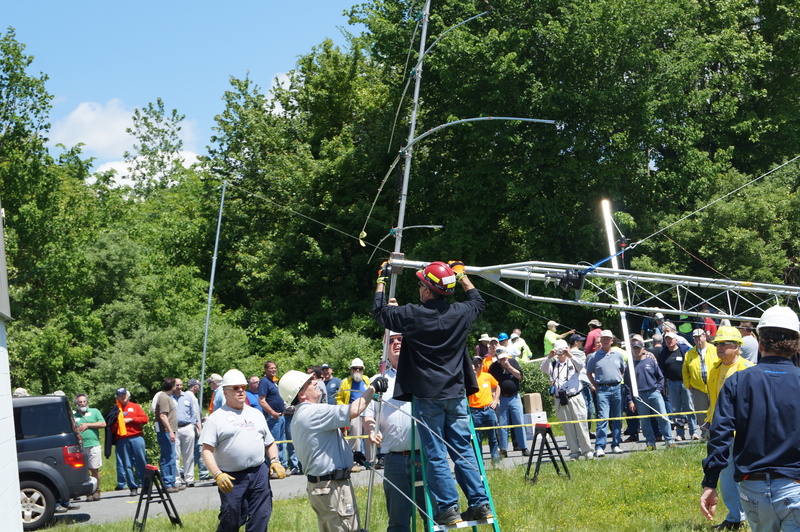 The on-site nature of WRTC is so that the best operators can come together and compete on a level playing field with similar locations, antennas, and radio propagation. The WRTC Organizing Committee is setting up identical operating sites for the 59 teams. Each team will be in the field with an antenna system, tent, and generator. They bring their own radios and technology plus their operating skills. Like any technical sport, such as car racing or sailboat racing, it is a combination of technology, operating skill, and luck that creates the winning combination. Where are the operating sites located? One of the challenges for WRTC2014 in New England was finding 59+ operating locations that were fairly equal. I.e., on flat land that was not on top of a hill or in a valley. Operating sites for WRTC2014 include private properties, state parks and other state- and town-owned facilities in Mansfield, Wrentham, Devens, Assonet, Berkley, Dighton, Pepperell, Hollis (NH), East Taunton, Plymouth, Carver, Leominster, Medfield, Cohasset, Hingham and Norwell, each carefully selected to establish a level playing field. See the map of all operating sites. Who is setting up the tents and antennas? All of the operating sites are being constructed just for the 2-3 days of the event. It is a massive job to set up 65 operating sites (59 teams + 6 spares just in case) in only 2 days. Over 400 volunteers, mostly from New England, but some from as far away as California, will work in the field to set up and monitor the locations. The recent training session in May drew over 200 volunteers. WRTC provides an excellent training experience for emergency communication preparation and a chance to meet the visiting competitors. This event could not happen without these dedicated volunteers giving their time and energy. Do the competitors speak English? Yes. English is the common language of radio contesting and most of the competitors speak English quite well. It is actually a rule in WRTC that all contacts are made in the English language so that the referee and judging committee can understand the contact and the teams cannot announce their nationality over the air. Can the press visit the competition and talk to the competitors? Yes, of course, but it is important to understand how the competition will work. WRTC2014 is part social event and part competition. Many amateur radio competitors have talked with each other hundreds of times over the air, but have never met. WRTC is a great opportunity to meet other operators with similar interests. All of the competitors will arrive at the WRTC2014 Headquarters hotel, the Doubletree by Hilton in Westborough, MA, on Wed, July 9. There will be meetings to review the rules, tours of Boston and other local spots of interest, and the Opening Ceremonies on Thursday evening. A WRTC tradition is that the operating site for each team is selected by a drawing. One by one the teams come up to the stage and draw an envelope that will tell them their station site and their referee. This drawing will be held Friday morning starting at 9am. By noon, all of the teams will be headed out to their operating sites to begin setting up their equipment. It is only after the drawing that we will know which teams will be at each site. The best opportunity to see all of the competitors in one place is at the Headquarters hotel. Either around the opening ceremony on Thursday evening or the Station Drawing on Friday morning. Another opportunity is to visit the sites during the set up period on Friday afternoon. The competitors will be anxiously preparing for the event, but will be available to talk and pose for pictures. Some of the operating sites are difficult to find so we ask that any site visits be coordinated via Randy Thompson (k5zd@wrtc2014.org). Once the competition begins at 8am on Saturday morning, the teams will have their headphones on and will be fully engaged for the next 24 hours. We will not allow anyone to enter the tents or interfere with their operation during that time. The competition ends at 8am on Sunday and the teams will return to the Doubletree by noon. Competitors at work during WRTC 2010 in Moscow, Russia. There will be a live scoreboard with updates every 5 minutes during the competition at sb.wrtc2014.org. This will provide a good idea of who the top teams are, but there is another step before the final results are known. All of the teams will keep a log of their contacts on the computer. 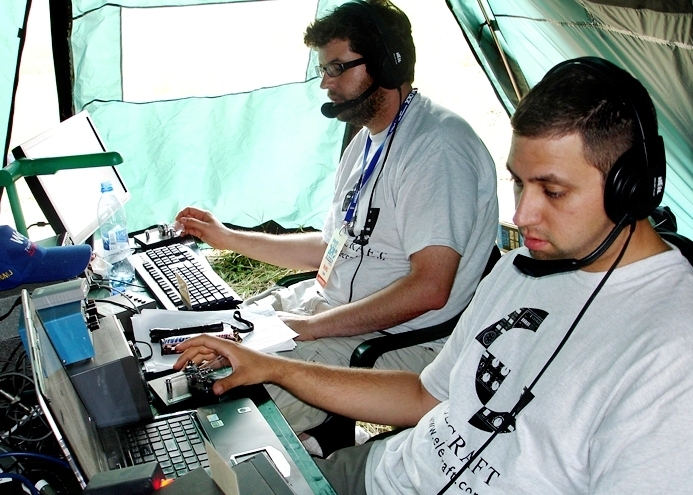 After the competition ends, the judging committee will take the logs, add logs received from other radio operators around the world, and do as much cross checking as possible for logging errors. The winners will be known by Monday afternoon and announced at the Closing Ceremony on Monday evening. View the WRTC2014 promotional video. (5 minutes) This page also includes videos from previous WRTC events. Check out the photo library. It includes pictures from test events that were held in 2012 and 2013. The test events will give the best view into what an operating site will look like.